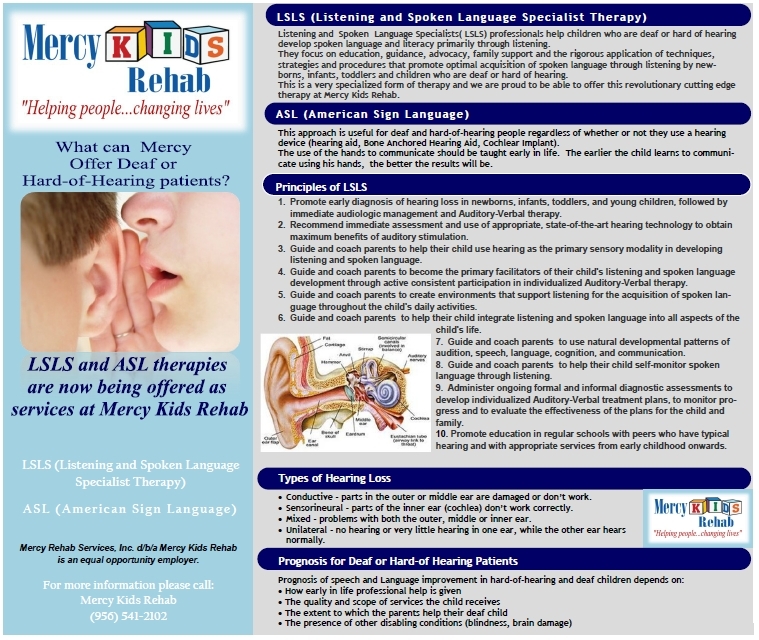 Mercy Kids Rehab - Our Services! Mercy Kids Rehab is a Comprehensive Outpatient Rehabilitation Facility providing specialized services such as Occupational Therapy, Physical Therapy, Speech Therapy, and Social Services. From our child-sized equipment to our team of specialists, we offer a child-friendly approach to rehabilitation, providing highly individualized therapies for children whose impairments are the result of illness, injury or congenital defects. We are committed to ensuring these children reach their full physical, cognitive and emotional potential. Mercy Kids Rehab helps children from birth to 21 years of age acquire or regain skills to perform age-appropriate activities. 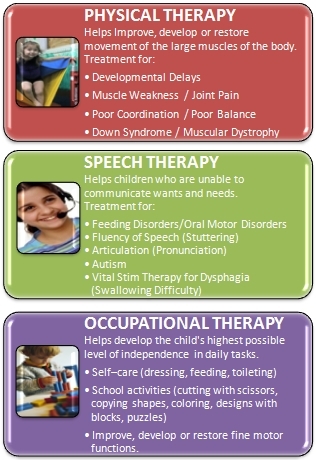 Some children may have mild developmental delays and just need some extra help. Other children may be recovering from an accident or injury and need to re-learn skills or ways to carry out day to day activities. Some children are recovering from surgery or other kinds of treatment, while others have chronic, multiple handicapping conditions or disorders such as cerebral palsy, developmental delays, Autism, Down syndrome or Muscular Dystrophy. 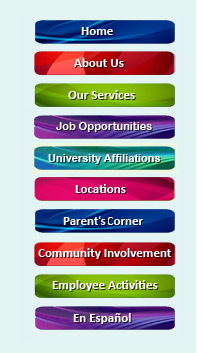 Visit and share your concerns with the child’s physician and request an evaluation referral for each desired therapy service. Screenings are available and can be schedule at your request; however, a referral from the child's physician is necessary to start the evaluation process. 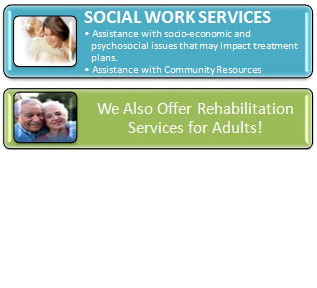 We accept Medicare, Medicaid, Insurance and Private Pay.